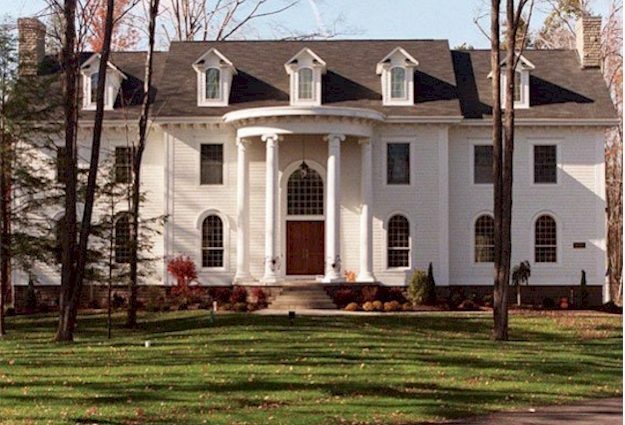 A large modern dwelling in the style of a traditional Neoclassical home, the main entrance features a curved portico with 20′ tall 24″ diameter Ionic style columns. A setback of four feet is employed at the side wings to provide aesthetically pleasing massing and proportions for this 97′ wide home. The exterior is clad in Hardi panel; a sustainable and low maintenance material that authentically matches the profile of traditional wood siding. 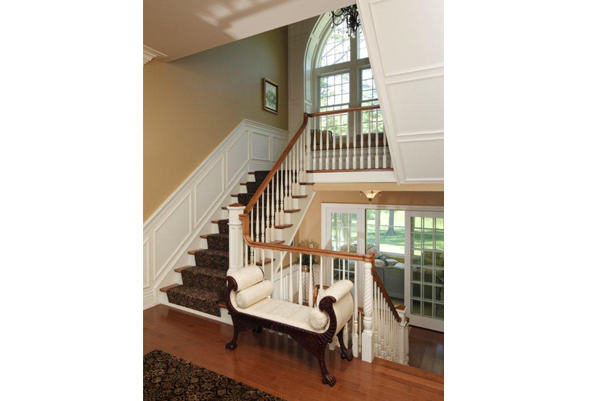 The first floor is raised high above the ground, much like a 19 century home, with a stone base over 36″ tall. 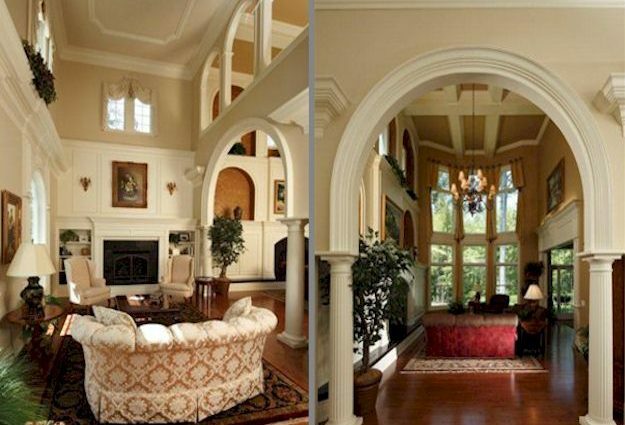 A central hall inside the front doors runs the full depth of the home, terminated by a grand staircase and window seat at the mid-height landing. 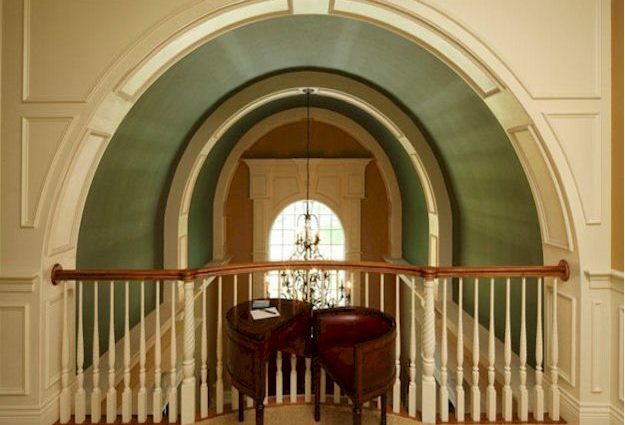 A barrel-vaulted ceiling above the hall, classical moldings and other arched openings tie together the exterior and interior. Modern elements include bathrooms attached to every bedroom, natural light basement level windows, a ramp between the garage and basement for storage of boats, and 2″ thick, continuous rigid insulation between the siding and the sheathing, making for an energy-efficient home.